Last year, at the launch of Note7, Samsung announced a new feature called HDR video playback support. As it has been the case with any new feature, lack of content was a big deterrent. Few streaming services like Amazon started supporting such contents, but others were still missing from the scene. YouTube had support for HDR videos, and now the feature is being rolled out to smartphones with compatible hardware. 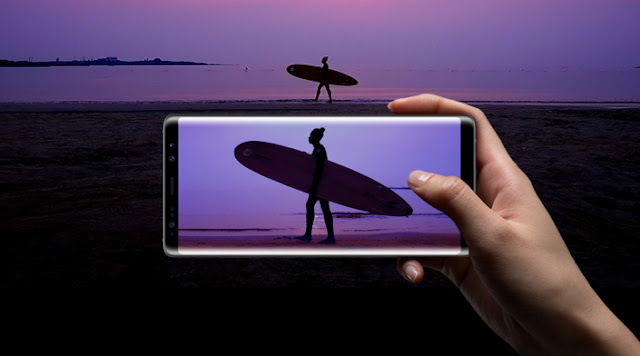 High Dynamic Range (HDR) videos on YouTube is now available on compatible devices such as Samsung Galaxy S8/S8+, Note 8, LG V30, Sony Xperia XZ Premium and Google Pixel smartphones. Though the HDR feature was available on YouTube since last year, mobile devices were not supported. Now that the majority of flagship devices are capable of streaming HDR videos, Google has started to roll out the feature. As of now, the update is not available for all users. It seems like YouTube is not pushing out the update globally yet. The roll-out is facing mixed reactions from users all over the world. Though many are happy with the availability of content capable of utilizing the hardware, there are a few issues as well. Initial reports suggested that the quality is capped at 1080pHDR, but later someone clarified on Reddit that 1440p is available but it drops a lot of frames. Some users have also pointed out to random YouTube app crashes and stuttering videos. There are reports of buggy performance of the app, with a few users complaining about brightness getting locked to maximum and lack of option to switch to full-screen. While the brightness issue can be linked to the need of better dynamic range, it remains normal in portrait mode and kicks in only in the landscape orientation. As a result of this, phones are heating up at a quicker rate, throttling the performance further. The HDR videos can only be watched in HDR quality, there are no options to watch it in normal quality, something which was available previously. These are nothing to lose sleep over, since this feature is very new, and it will definitely improve gradually with regular updates from YouTube. But in case you are going to try it out, a warning is never a bad thing.